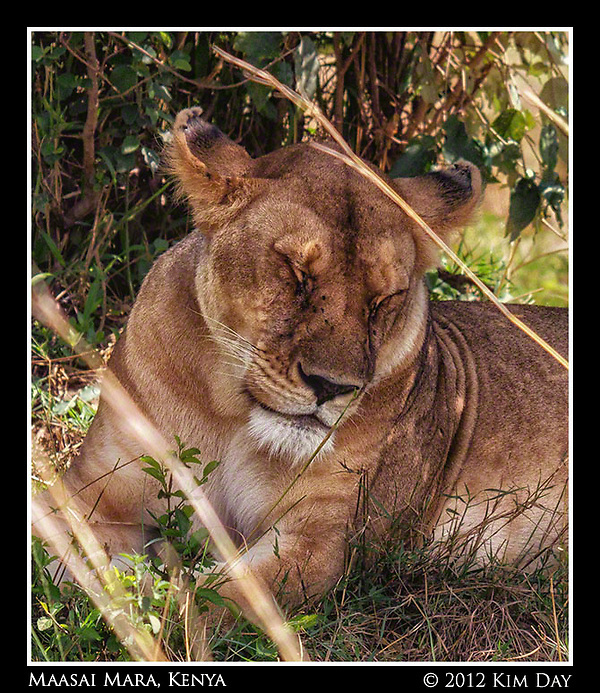 A lifetime of zoo visits can’t prepare you for the thrill of your first view of a lion in the wild. 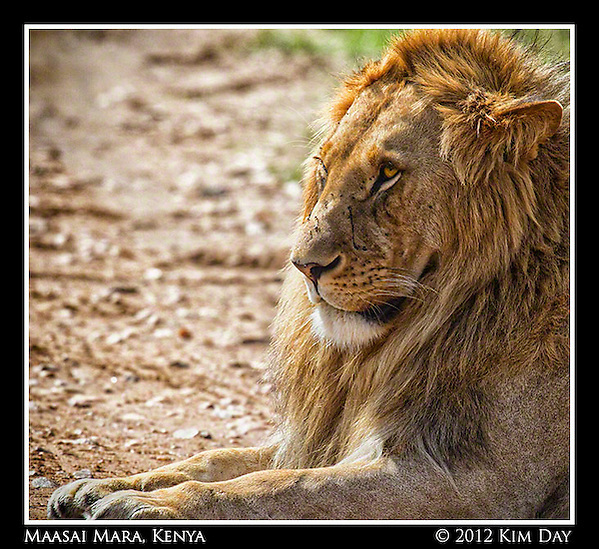 The lion’s penetrating gaze as its mane ruffles softly in the wind will send a little chill down your spine. The King and Queen of the Jungle (or in this case savannah) may look relaxed, but you know that the first whiff of prey will wipe that bored look off their faces in mere seconds. The pair of lionesses below were out stalking a late breakfast when we first saw them during our hot air balloon ride over the Maasai Mara. We never saw what their prey was, but they were clearly out on the prowl. 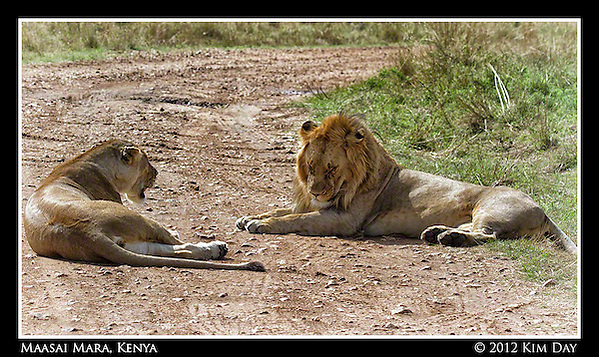 On the way back to our lodge from our champagne breakfast, we ran into this pair of lions, just lying in the road, trying to take their morning nap. 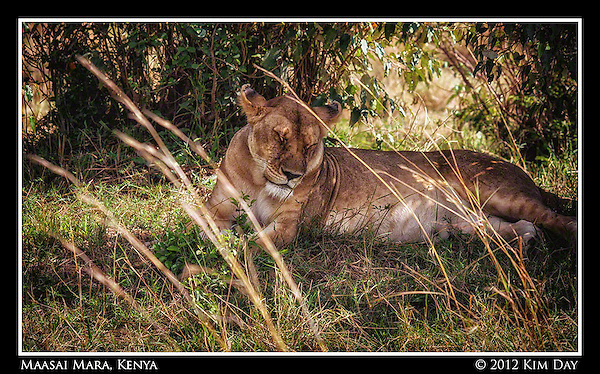 After a while, the lions got irritated with the vehicles surrounding them and wandered off across the road to the shade of some bushes. This entry was posted on Wednesday, September 26th, 2012 at 5:12 PM. 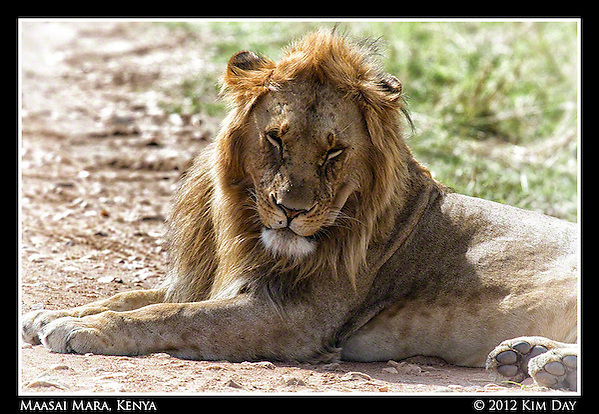 It is filed under Globetrotting: Near and Far, Kenya and tagged with Big Five, Kenya, King of the jungle, Lionness, Lions, Maasai Mara, Safari. You can follow any responses to this entry through the RSS 2.0 feed. They should know better than to try and take a nap in the middle of the road. Obviously a bunch of people are going to show up, wanting to take their picture. Kind of like if Lady Gaga decided to take a nap on a park bench! Yep. For the most part, the safari vehicles are like rocks to them. They just ignore them (or climb on them once in a while). But, occasionally, you get the sense that they just get exasperated!